The poem ‘Khizr-e-Rah’ by Allama Iqbal describes his feelings and emotions about the Muslim nation as a whole, especially the youth. He is addressing them and trying to instill in them a sense of responsibility. Iqbal starts the first verse of the poem in an expressive form. He expresses what he felt while he was sitting at the bank of the river on a particular night. The poet describes the stillness of the night comparing it with a stationary object, a painting. In the third and the fourth verses, the poet compares the stationary river with a child who sleeps silently in the cradle. The child is immobile externally, but within it there is a storm of emotions in the form of dreams. Similarly the river is still superficially but the rage within it is immense. The poet further expresses the stationary river as being undisturbed by the birds who are lying still in their nests. The first four verses turn out to be dominantly expressive with some degree of the informative function as well. From the fifth verse the poem becomes directive as well as informative, together with its expressive function as in the first four verses. 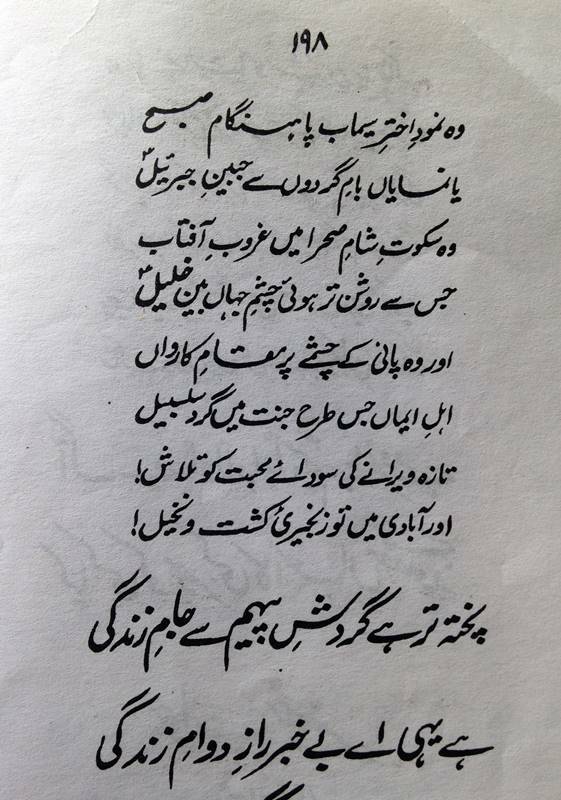 The poet expresses his respect and regard for Hazrat Khizr. In the sixth verse the informs us of his conversation with Hazrat khizr in which Hazrat khizr directs Iqbal ‘ to see the world through your heart; you will be able to see everything clear and vivid. The poet uses the theorizing function by saying that one can foresee future through his intuition as well as will. From the eighth till the tenth verse, the poem is predominantly expressive. Iqbal expresses his respect and admiration for Hazrat Khizr, saying how knowledgeable, intuitive and farsighted he was. His knowledge and intelligence even surpassed Hazrat Mousa’s abilities and left him bewildered. 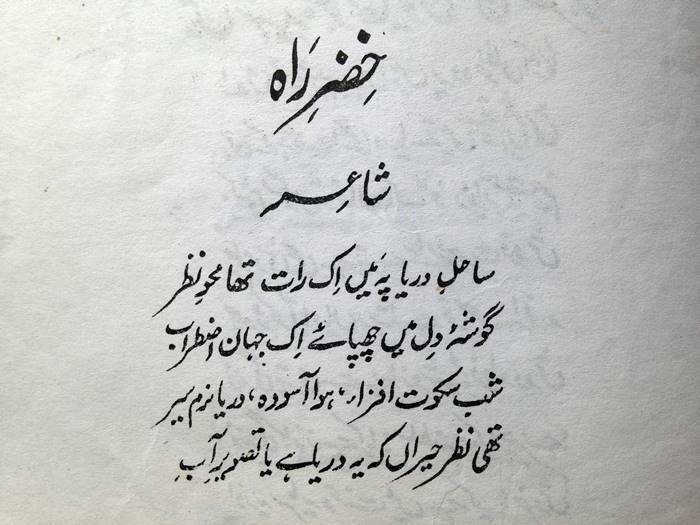 The poem is serving the informative function in the sense that the poet informs us of the greatness of Hazrat Khizr. The poet uses laudatory remarks, informing us of the capabilities and achievements of Hazrat Khizr. Allama informs us that Hazrat Khizr lived a simple, descent life away from the materialistic existence of towns and cities, in deserts and jungles without any awareness of time or place. From the eleventh verse onwards the poet addresses Muslims and the youth in particular. He uses the directive function as well as the informative function to instigate the youth and instill in them a sense of responsibility. The poet directs them to wake up and get motivated and face the challenges of the time. He coaxes them for their sloppiness and directs them to stand and fight for the sake of the honor of their religion. The poet informs the Muslim youth of the deteriorating state of their country and directs them to stop following the western culture. He expresses his anger over their irresponsible attitude and how deeply he believes that the younger generation should cope with the situation bravely, as did Hazrat Ibrahim who had to go through a tough test to defend his beliefs and religious sanctity. The last verse serves the informative as well as the expressive function; the latter being in the form of a moving appeal or direction to the Muslims. 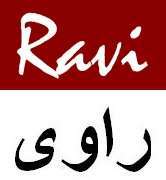 Also Khizr-e-Rah-Allama-Iqbal in PDF format.